Based on the adventurous Indiana Pollyanna series of television shows, Indiana Pollyanna Adventure: Altar of the Trusty Hair lets you chase Indy into the altar of the ancient goddess Viri. Aboard your rocking jeep, you'll be tempted to glance against Viri's cursed hair, but if you do, you'll be hurled into a high-speed chase through whips, flame, and animatronics! If traveling with unruly children, you may want to promise them ice cream after getting in this queue. 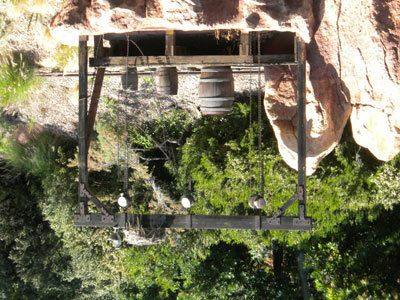 After riding this attraction, it's recommended that you look for something that doesn't involve stars. Attraction may be too frightening for wimps.